A new form to obtain natural gases has been created. Cheaper and more efficient than ever, what could possibly go wrong? 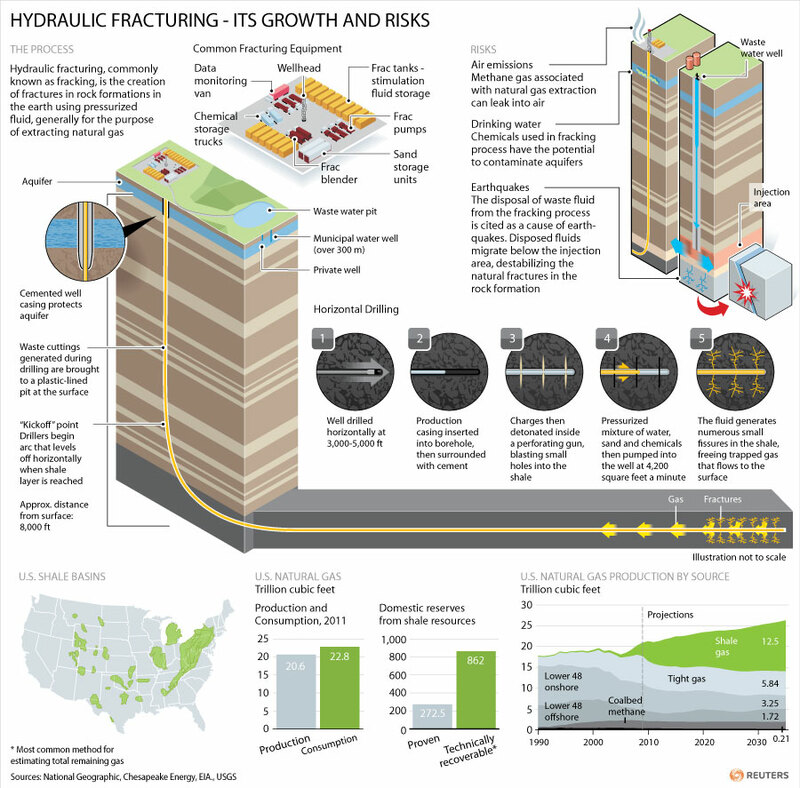 Fracking is the new form of natural gas obtaining and is widely spreading. A lot of people believe that there is nothing wrong with this and that it will help build a more rich economy, but it would be hard to build such an economy if people are dying from disease. These diseases come from the chemicals that are released during the fracking process. Chemicals that “frackers” are aloud to keep secret from the public. There are over 600 chemicals involved with fracking. And 353 are found harmful in some way. 25% have linked to cancer and mutations. 40-50% have caused changes to the brain/nervous system, the immune system and the cardiovascular system. And 75% can also be link to damage to the skin, eyes, and respiratory system. And on top of all of that, 37% have found to disrupt our bodies hormones. Fracking companies have tried to tell people who only smaller amounts of chemicals are used in their process, but it has been proven that small amounts of chemicals are dangerous at very low amounts. People have tried to hold protests and petitioned to get fracking regulations changed, but it is such a money-maker that instead of putting new rules in place to make fracking safer, they have created new regulations so that fracking companies do not have to tell people what chemicals they are using. This is frustrating because they are not lying to people now, they are just simply not telling them what dangerous chemicals they are being exposed to. Do people have a right to know what chemicals are being used? And do the benefits of fracking really outweigh the costs? Good use of data, be sure to use more formal language.